Welcome to Secret Recipes. As you all know, the authors you love know how to cook up some amazing romances. But, did you know that most of us also love to cook, bake and grill? Sometimes our characters even request that we make something they like just so we can share it with you, the readers. This is the place for you to find all of those recipes. So come on in and share a bite to eat with your favorite authors. Let's get cookin'! Hi everyone! Thanks to Madison for having me on. One of the great things about writing hockey romances is that I get to have an international cast of characters! From Russia to Finland, Sweden to Canada, Minnesota to Norway and all points in between. With so many hungry athletes there is bound to be some great recipes being passed back and forth among the wives and girlfriends of the team. 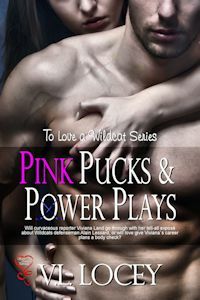 Alain Lessard is the leading man in Pink Pucks & Power Plays, my first To Love a Wildcat book, and he hails from Quebec. This recipe sounds like something his mother would have made for him on a cold day, perhaps when he was a young boy returning from hours of playing pond hockey. It`s a simple recipe, with a short prep time, and features one of my favorite things in the world: maple syrup. Even Viviana, who is no cook, could whip this decadent treat up for her man! Total Time: 30 minutes. 15 for prep, 15 for cooking. Mix sugar, baking soda, salt and flour. Incorporate shortening. Add milk and mix until the dough is homogeneous. Syrup preparation: In a large casserole, bring the maple syrup and water to a boil. Using an ice cream scoop, make balls from the dough and place into casserole dish. Cover and simmer for 15 minutes but do not remove the cover during cooking time. This can also be served with vanilla ice cream for an even sweeter treat! Viviana Land just can`t seem to say no her younger sister. Somehow, the curvaceous society page reporter gets lassoed into serving as her niece's Busy Bee scout leader. One overheated engine later, Viviana and her girls find themselves in the Green Hills Ice Rink. Enter Alain Lessard, the charmingly handsome defenseman for the Philadelphia Wildcats, who is donating his summer to coaching the youth league. When our intrepid reporter is given the opportunity to write the break-out story of her career, Viviana leaps at the chance. Thinking it would be easy to flirt and tease some juicy tidbits out of Alain, Viviana soon finds herself falling for the sensual, younger, kind-hearted man. 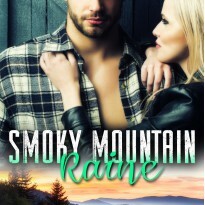 Will she put aside her virtual pen for a chance to stay at her new paramour`s side? Or will Viviana finally get away from those mundane bakery opening articles by using the man she may possibly be falling in love with? Thanks so much for stopping by, Vicki. Congrats on your newest book and I hope you'll stop by again sometime. Readers: Don't forget to stop by and let us know if you've tried the recipes.